6%DokiDoki Staffer sporting aqua hair and a dark sporty street style while out and about. Bunka Fashion College girls in colorful mixed prints & pink fashion with striped jacket over denim patchwork jumper dress and striped top, socks over tights, orange sneakers; pink sweater, zebra print zipper skirt, platform sneakers, bags and accessories. Trio of Harajuku girls wearing black layered cropped tops, leather skirt, platform boots; vintage leopard print turtleneck top, plaid skirt, corset belt and white sneakers; knit top, oversized pants and platform shoes. 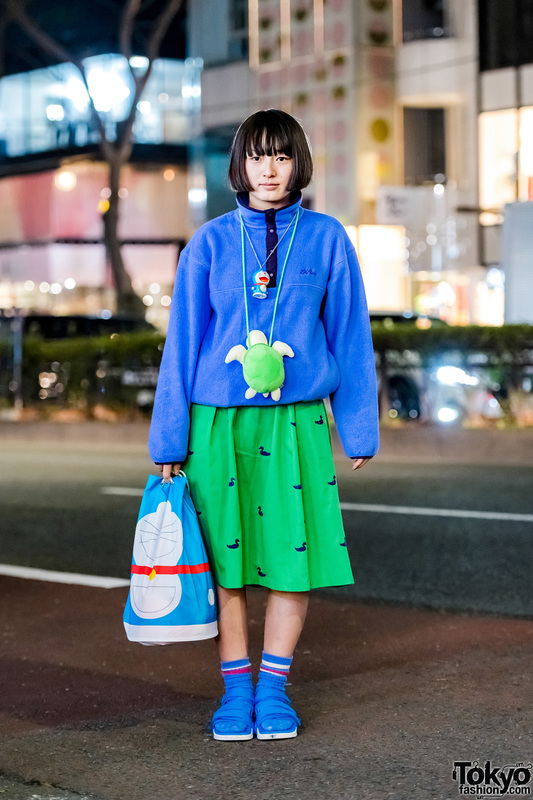 Harajuku fashion college student in all over print colorful fashion with printed shirt, patchwork ruffle skirt, striped sneakers, canvas tote bag and kawaii accessories. 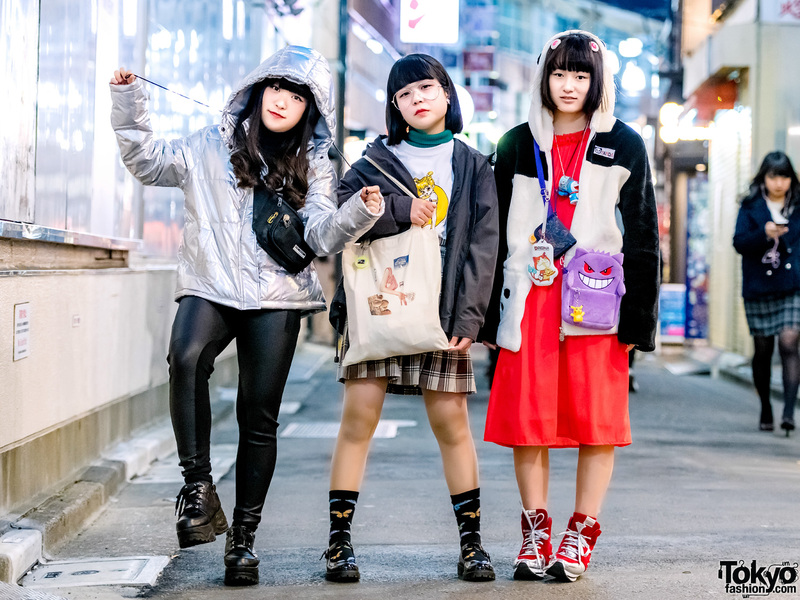 Harajuku trio in colorful kawaii and ruffle fashion with printed and layered tops, denim skirt, metallic sneakers, ruffle top, checkered ruffle shorts, glitter shoes, asymmetric ruffle coat, printed shirt, ruffle skirt and platform white sneakers.